Those who worship the omnipresent, indescribable, eternal, firm, immovable, unmanifest, indestructible Essence which is beyond cogitation, having controlled their sense faculties, ever engaged in the welfare of all beings, and possessing an intellect of equanimity, they also attain Me. Little one, in the worship of the Unmanifest, one fixes one’s concentration on the Atma. a) Such a spiritual aspirant constantly keeps his mind focused on the fact that he is not the body – he is the Atma. b) He is therefore constantly vigilant that he does nothing for the establishment of the body. c) He makes consistent endeavours to forget himself, his body and his mind. d) He makes continual efforts to avoid using his intellect for himself or for his personal body establishment. e) He never uses his intellect to procure what his body likes. f) He is ever focused on his innate oneness with the Atma. g) He is constantly focused on the integrity and indivisibility of the Atma. 1. Those who are full of hatred and strong attachments cannot focus on the Supreme, Eternal One. 2. Those who are infested with desire and anger cannot meditate on that Indestructible Essence. 3. Those who are affected by esteem or insult cannot worship the Unmanifest. 4. Those who pursue the path of engaging in action – pravritti, or abstinence from it – nivritti, are not qualified for such worship. b) possess an intellect of equanimity, they attain Me. Little one, understand this truth by witnessing the life of Lord Buddha. Consider His life before He entered His final samadhi or absorption into the Self. 1. His life was purity itself. 2. He was the embodiment of kindness and magnanimity. 3. He was forgiveness and mercy incarnated. ­­– He was the ocean of compassion. ­­– He was Grace itself. ­­– He was ever sinless. ­­– He was the embodiment of justice. ­­– He was ever joyous and blissful. ­­– He was gentle, tender and humble. ­­– He was without blemish and devoid of any deception. ­­– He was the well-wisher of all. ­­– He was the living embodiment of selflessness. Understand also, he did not renounce hearth and home to procure satisfaction of any desire for joy or happiness. a) He merely sought to know the source of sorrow. b) He witnessed the sorrow in others’ lives and hence went in the search of Truth. c) He wished to know the means whereby nobody would ever have to experience suffering or sorrow. Even His ultimate meditation and consequent samadhi was the very essence of selflessness, devoid of any action motivated by desire. Little one, only one who has attained such a supreme state is able to selflessly worship that Unmanifest Brahm. The worship of the Manifest Brahm possessed of attributes is the path to be followed by the ordinary man who aspires towards union with the Unmanifest. The manifest form must match the essential core of the being. In order to abide in the Atmic core, one’s life must also be of the same mould. 1. Even if one meditates on the Unmanifest Essence, one attains the Supreme Atma Itself. 2. Even if one believes in the truth ‘Aham Brahm Asmi’ (‘I am Brahm’) it will still be imperative to renounce the body idea. 3. It is necessary to disconnect the mind from the conjunction of the sense faculties with their objects. 4. It is essential to dwell in the world in order to practice equanimity. 5. One has to offer this body to the world in order to attain indifference to self and transcendence from duality. 6. One cannot obtain detachment merely through the renunciation of sense objects. 7. If the ego is to be annihilated, one has to offer the ego as an oblation in the fire of the world. 8. In order to establish oneself in one’s essential core, one’s conduct will have to be like the Lord’s. 9. It is essential to live amongst the sense objects of the world in order to practice cessation of attachment. 10. Similarly, it is essential to live amidst all qualities in order to remain unaffected by any quality. 11. Hence it is necessary to live amongst people possessing varied qualities. 12. One must also render proof of becoming a gunatit i.e. of having transcended all qualities – others’ and one’s own. 13. If one wishes to transcend both fame and ignominy, it is necessary to live in a world of all types. 14. One must give proof of one’s detached state and absence of feelings of enmity. 15. If one becomes devoid of both hopes and desires, one will automatically become selfless. 16. It is important to give proof of one’s ability to dwell with equanimity in both congenial and uncongenial circumstances. 17. If one becomes free of both excessive fondness and aversion, only then can one become a well-wisher of all. 18. It is only when this body no longer remains one’s own that one can become everlastingly satiated. Worship of the Unmanifest can be injurious for the spiritual aspirant. 1. Worship of the manifest Lord enables one to witness the qualities of the Lord and to utilise them in one’s personal life and thus proceed towards the Supreme Truth. 2. By so doing the seeker can readily understand the divine qualities inherent in an Atmavaan. 3. Worship of the Unmanifest is a consequence of the worship of the Manifest. To aspire for the Atma without internal purification is sheer foolishness. a) You are still attached to what your mind finds likeable. b) You are still attached to external sense objects. c) Your mind still does not follow your intellect. d) You do not want to sever your attachment to your body. e) You are still full of egoistic pride. f) You cannot become an Atmavaan until you decide to gift your body to the world in charity. g) You cannot renounce the body idea until the ‘I’ is established in selflessness. ­­– When the individual no longer requires his body for himself, only then can he renounce the body idea. ­­– The individual can become completely detached from sense objects only when he has no further use of them for his personal body self. ­­– This practice is essential. All saints give proof of these divine attributes in their lives. a) Their lives are proof of their attitude of complete and eternal satiation. b) Their lives prove their innate indifference to their personal selves. c) Their lives prove their love. d) Their lives mirror their compassion, innate non-duality, and love for the Truth. Little one, having witnessed these qualities, when the devotee endeavours to practice them in his life, he begins to understand the essential nature and the manifest form of the Supreme Brahm. In fact, such a one manifests the bodily attributes and attitudes of the Atmavaan. 1. Until these attributes manifest themselves in one’s body, one cannot ascend towards the Atma. 2. Divine attributes are the universal manifestation of individual qualities that pertain to the Truth. 3. Qualities of the Lord, which indeed are also qualities of the Gunatit, of the Atmavaan, and of one who transcends all attributes, lie beyond the scope of those qualities that are coloured by sattva, rajas and tamas. a) The qualities of the Lord are indeed the qualities of Brahm. b) Qualities of the Lord are qualities of One Who is silence itself. c) Qualities of the Lord embody justice. They inhere infinite justice, compassion, detachment and love. They are capable of appealing to the individual in the latter’s interest and they are also capable of taking the individual’s life if Truth so demands! 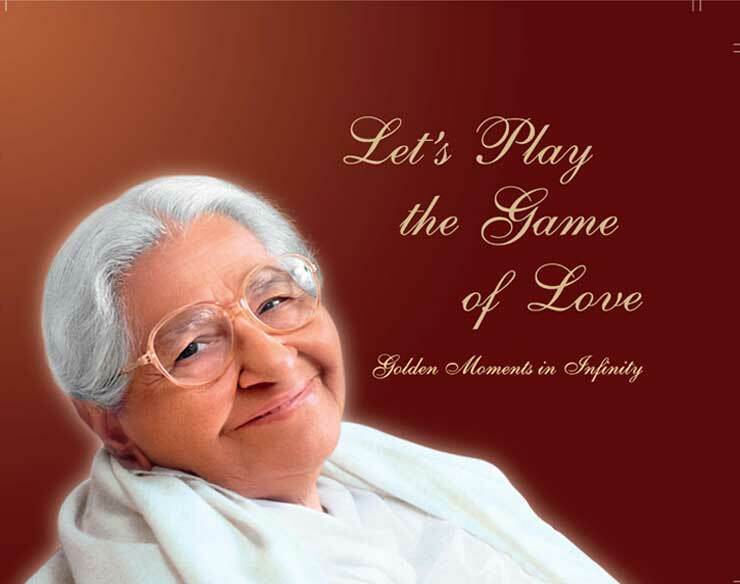 It is essential for a sadhak to start from the first rung of sadhana or spiritual endeavour. He cannot become a gunatit without first inculcating qualities that relate to the Truth. He cannot worship the Unmanifest without first understanding the Lord’s manifest form. Little one, it is only one in a million who can thus worship the Unmanifest Supreme. And the one who considers himself to be that one in a million, in the beginning of his spiritual endeavour, is infinitely foolish! The culmination of worship of the Manifest Lord is worship of the Unmanifest Brahm. However, so long as the ‘I’ remains, one must only practice giving one’s body in the service of others. No matter whose Name you take, endeavour to bring credit to that Name through your actions. Do not become a slur upon that Name. Make efforts to keep that Embodiment of divinity as your constant witness in all that you do, and you will begin to perform selfless deeds. You will then gradually begin to forget your separate identity. Your ‘I’ will merge in Him. What will remain is only the Lord. The ‘I’ will be absorbed in the Atma and this self forgetfulness will culminate in your establishment in the Self.